Well, it's that time of the year, the time where I tackle the impossible task of ranking my top ten movies of the year in order. Now before I go into it, there are plenty of movies I missed this year that I'm kicking myself for not getting around to seeing. The films that I feel like could have had a shot at making the list had I seen them are as follows: Phantom Thread, Molly's Game, A Ghost Story, The Post, I, Tonya, Stronger, and Three Billboards Outside Ebbing, Missouri. Now before I get into my list, here are a few honorable mentions that nearly made the cut: IT, Baby Driver, Guardians of the Galaxy, Vol. 2., Dunkirk, Star Wars: The Last Jedi and Spider-man: Homecoming. Abrupt ending aside, this is one of the best coming-of-age stories to grace cinemas in quite some time. If you had told me Greta Gerwig had only directed one film before this, I might have laughed in disbelief. 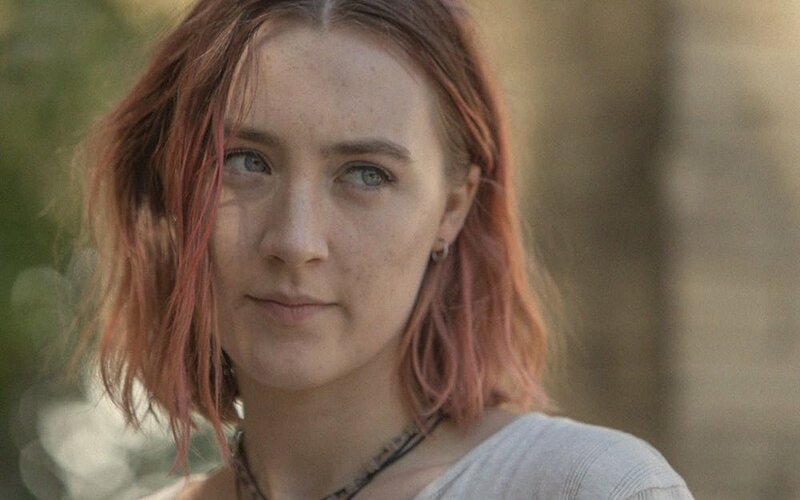 Lady Bird is brought to life with a deft hand and wears its heart clearly on its sleeve, and though women might reap the emotional benefits of the film more than men, it's a movie that can be enjoyed and experienced by all. While watching Darkest Hour, a film following the monumental decisions and speeches given by Winston Churchill during a time when the Nazis were on the brink of invasion, I was amazed by how high its spirits were despite the heavy subject matter. That is not to say that Darkest Hour is a happy movie, but it is an entirely hopeful and inspiring one, versus the bleak funeral dirge that it could have been. For this reason, and a few others, Darkest Hour is a mostly triumphant film that genuinely touched me. This film is a true return to form for Pixar, a studio that has been cashing in on merely decent sequels. Coco has an abundance of heart that touched me on levels that I did not expect and is complimented by the best visuals the animation industry has to offer. Logan is a fitting send-off to Hugh Jackman's Wolverine/Logan as we've come to know him. The end to this film is so poignant and bittersweet that while I'm sad to see him go, I'm overjoyed that he left us on such a perfect note. Your Name. is an excellent film that leads with its heart and characters and expresses itself through a vastly detailed and alluring world. If you like anime even slightly, you owe it to yourself to watch this film, it's that good. The screening I attended for The Disaster Artist was sold out, and it was one of the best audience responses to a film that I've ever witnessed. If the riotous laughter, spontaneous clapping and general high spirits of the crowd is any indication, this is a resounding success and an almost poetic victory for everyone involved. Get Out sets out to achieve many different goals, and miraculously succeeds at every single one of them. I don't think I've seen a more accomplished horror film in recent memory that is able to juggle so many different themes and ideas as adeptly as Get Outdoes. Jordan Peele has delivered to audiences a new horror film that I'm confident will go down as a classic, it's just that damn good. Blade Runner 2049 is a stunning cinematic achievement. It's a film that won't captivate everyone, but for those willing to give in to its spell, it is sure to be an infinitely rewarding experience and will likely to stand the test of time, just like its predecessor. 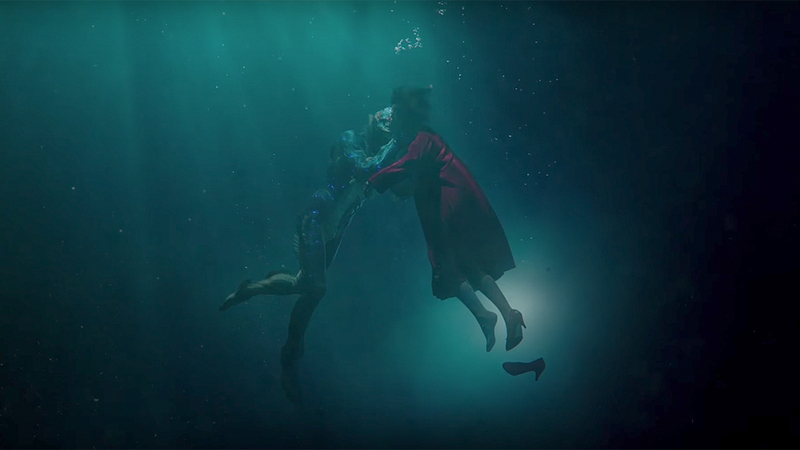 Guillermo Del Toro is in top-form with The Shape of Water, a film that blends many different genres seamlessly and displays its heart clearly on its sleeve. The Shape of Water is another masterpiece from Guillermo Del Toro, and a film that spoke to me on many different levels. Well that does it! Please feel free to post your own personal top 10 or top 5 in the comments section below!